Sure, Google might try to compete with Apple’s iPhone with its Android Platform phone knock-offs, but come on: we all know that the iPhone is the original and superior invention. 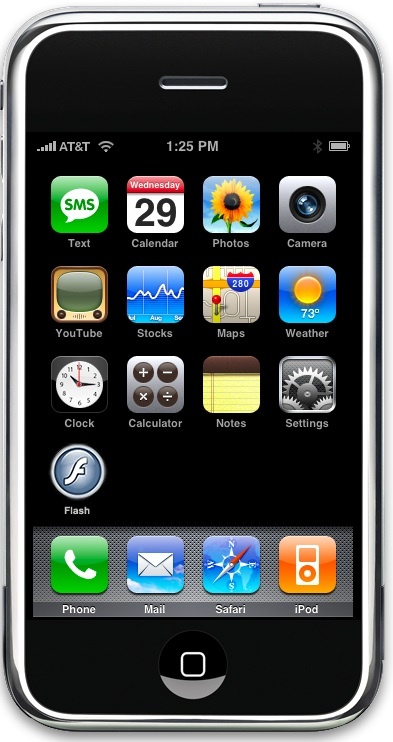 Whether your iPhone is 3g or one of the older models, you know the interface is so gooey in comparison to Google’s Android platform. Well, there are, in Google’s defense, two things their android phones have going for them. First, Android is an open source platform, which is actually more than can be said for the iPhone. However, if you really want your iPhone to be open source, just hack it. Then you be technical with it and run whatever you want. It’s not that hard to hack an iPhone, although sources say this does void the warranty of the phone. Small price to pay? That’s your call, not ours. 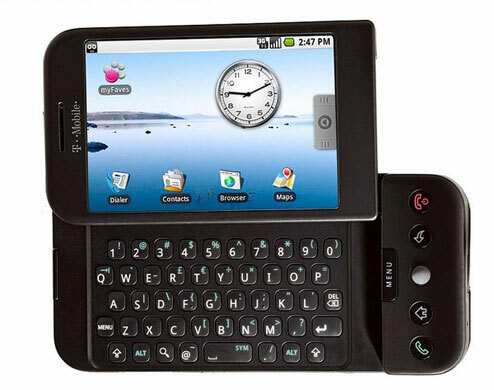 The second thing that gives Google’s Android phones an edge over the iPhone is the fact that they have actual buttons, for example with T-Mobile’s Android-based G1 phone (pictured above), as opposed to Apple’s purely touch approach with the iPhone. Again, though, let’s get real and think about how much time is really going to be saved by having that pad. So, you can crank out all those long e-mail messages on the go? Honestly, if you’re on the go that often, maybe you should be carrying a small laptop around with you so that you can do more than just listen to music, surf the web and write e-mail. 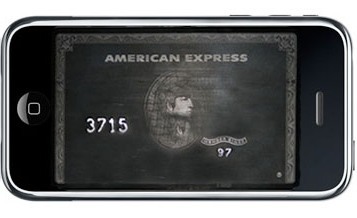 Phones are becoming more and more like computers by the day, but here we wholeheartedly recommend getting your Centurion card points by purchasing an iPhone over any Android platform phone. Oh and don’t even think of buying one of those Samsung pieces of junk! If you have a Black Card, you probably have a tendency to buy the most expensive things that money can buy. Psychologically, perhaps you feel that when you spend more money on something you get greater quality in return. I mean, sure, the expression “you get what you pay for,” doesn’t always hold true. However, it probably holds true most of the time. 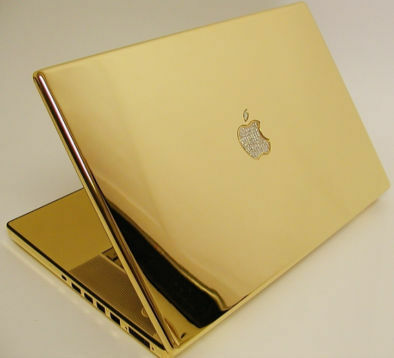 Luxury addicts far and wide can bling their MacBooks with these designs first revealed at CeBIT 2008. If you have the means and feel the need to stand out, then perhaps one of these MacBooks is for you. 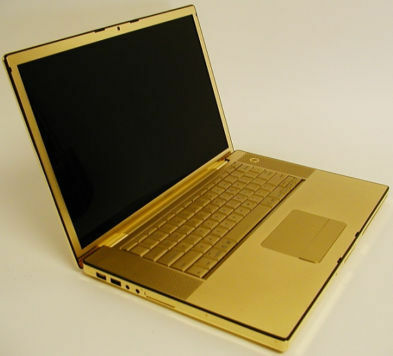 Get your Black Card ready for purchasing a gold-plated MacBook Pro (photos below); or, if that’s not enough, go for the world’s most expensive MacBook Air (video below). 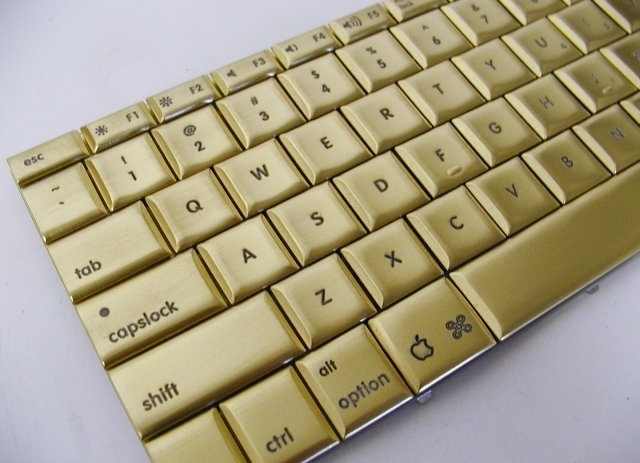 For gold-plating your MacBook Pro, it costs between $1200-$1500, and takes two to four weeks to modify. Bear in mind, though, that this also includes paint-matching the keyboard and track pad, and re-etching the keys so the backlight shines through them. If you really want to get your bling on, you can request a diamond-studded logo of your own choosing to replace the Apple logo. For the MacBook Air design, nicknamed “Golden Age,” you’ll be dropping about $40,000.00 USD to have your computer decked in 12,000 Swarovski crystals. The crystals are even shinier than usual due to a coating of 24k gold set beneath them. Construction of a “Golden Age” takes about one week due to the fact that its crystals are set by hand. There’s no better way to be flashy with your computer than with one of these modified Apple laptops. You might not know this, but before John Mayer became a pop-icon, he pumped gas to save up for his first guitar in his high school years. 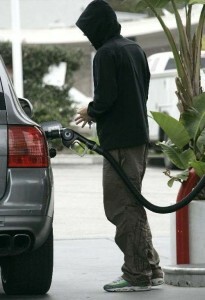 Ironically enough, Mayer still has to pump his own gas–from time to time–only now rather than filling up other people’s tanks, he fills up the tank of his own Cayenne Porsche or whatever other luxury vehicles he has garaged. 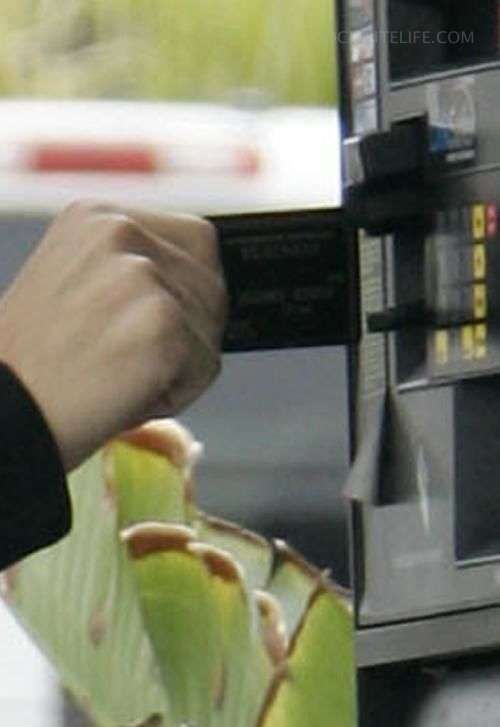 Why wouldn’t he use his Black AMEX at the pump? If you’re going to fill your tank with premium gasoline for a high-perfomance engine, you might as well use a premium, high-performance credit card to do it! You know Mase, right? It’s Diddy’s original boy. You know, before all of the name changes, back when Diddy was still just known as Puff Daddy, Mase joined Bad Boy records in the early 90’s before Sean Jean clothes or the show Making the Band had even run one episode. His peak years on the label were in the late 90’s. Well, ultimately, Mase gave up on the rap game. He fought his way to get the high status that he did. It was unclear as to whether Mase had a speech impediment or just had a nonchalant way of talking that was just cooler than the typical person. Fast-forward from the 90’s to 2004 and Mase released his last record on August 24 of that year, before retiring to then study at Clark Atlanta University in Georgia and move on to getting his Doctor of Theology or Th.D at St. Paul’s Bible Institute in New York. Mase now goes by the name Dr. Mason Betha. 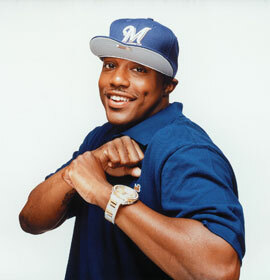 But let us not kid ourselves: we’ll always know him as Mase the rapper! So, apparently Mase got out of the rap game without much risk, if you consider being devoutly religious to be risk-free these days. At any rate, if you’d like to hear the above-referenced clip of the song in its true glory, feel free to click on the following. Back in 2005 when Kanye West finished performing at a party celebrating the then 26-year-old’s debut on the cover of Source magazine, and was only just beginning to rise to fame as a rap star with his record, “The College Dropout,” West was handed a Black Card by an American Express sales representative. What better way to get your Black Card than to have it handed to you personally by an AMEX employee? If you didn’t already know, flashy clothes and fashion have been interwoven with the hip hop world like the peanut butter was stuck to the jelly in the last PB&J you ate. Okay, maybe you never eat PB&J sandwiches, but the point is, American Express saw the opportunity to capitalize on Mr. West’s newfound success and passion for designer labels, and what better way to do it than with a Black AMEX with no limit? 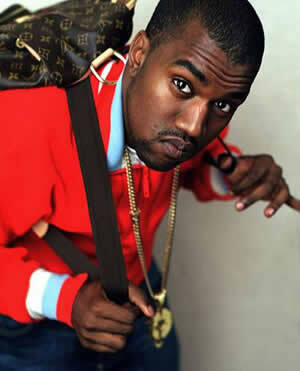 Self nicknamed “The Louis Vuitton Don,” Kanye has been known to wear more Louis Vuitton attire than most other rappers. I’m sure the French company, Louis Vuitton Malletier, has absolutely no problem with a pop culture icon like Kanye actively promoting their attire. Oh and just in case you were wondering, all your local Louis Vuitton retailers accept The Black card. 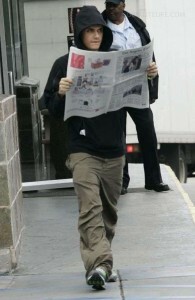 So, let’s say you’re a British supermodel and you have been featured on over 300 magazine covers. 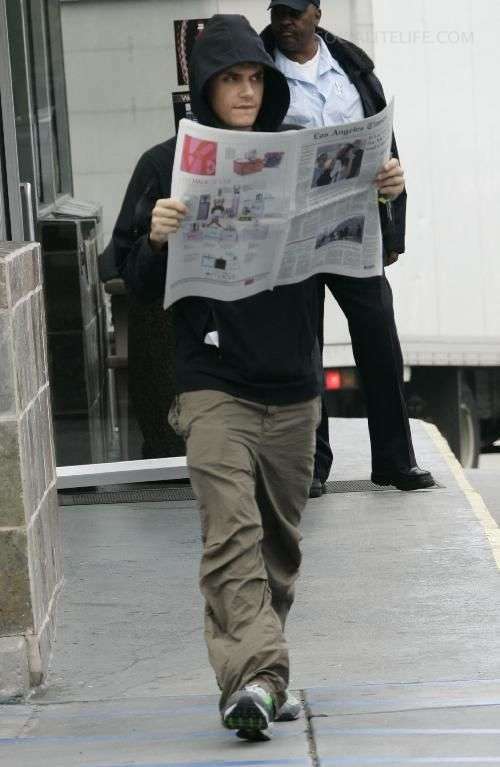 Let’s also say you made over $13 million USD in one year and landed second on the Forbes list of richest supermodels. Then we could claim, just for the sake of argument, that your name is Kate Moss. Like most supermodels, Kate probably doesn’t eat very much food in order to have a competitive edge in the modeling business. Well, since smoking cigarettes is a bit on the outs socially, we have to find a better appetite suppressant to maintain that supermodel anorexic skinniness. Wait a second. Okay, got it. Cocaine! Snow, blow, yayo, whatever you want to call it, this white powder will suppress the appetite of any supermodel while simultaneously giving their self-esteem a bit of a temporary boost. What’s that you say? Kate Moss has a Black AMEX card in addition to a cocaine habit? Yes, it’s true! Well, now that makes perfect sense. 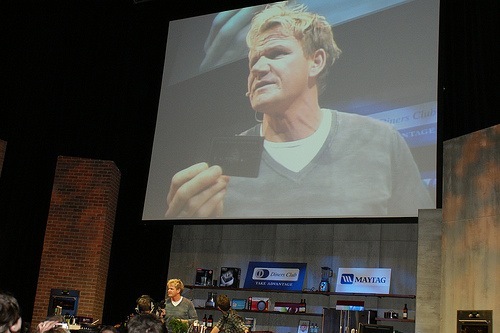 What better to contrast with white lines of powder than a black credit card made from titanium? You can rest assured that the Black AMEX is not only a very practical tool in preparing cocaine for snorting, but it’s probably the classiest way to do so. Of course, American Express would never condone such practices or admit that celebrities would engage in such wrongful Black Card use! 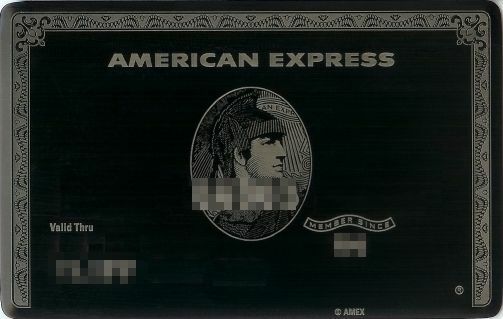 American Express: My Life. My Card. My Coke. Guess what? You might not be voting next month in America, and your beliefs might not be closely connected to any one political party. However, it might interest you to know that Cindy McCain is an avid user of the Black AMEX. You could call Cindy a homewrecker for being the result of the end of John McCain’s first marriage to his ex-wife Carol. But hey, we don’t care about that! We also don’t care that she battled an addiction to painkillers (Percocet and Vicodin, among others) for a number of years, nor do we care what she eats for breakfast. One thing that does perk our interest, though, is that she manages the finances of the McCain family. 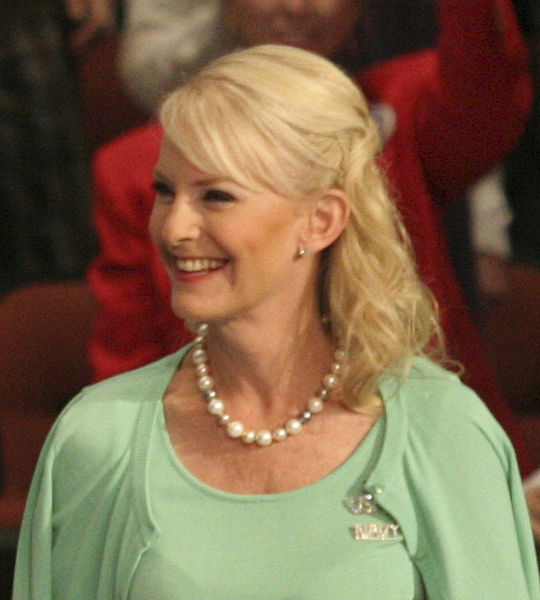 Cindy McCain is the chairwoman of Hensley & Co., founded by James Hensley, and the third largest distributor of Anheuser-Busch products. Needless to say, she’s a wealthy woman. In fact, most of the McCain family’s money is wrapped up in Hensley, in addition to a handful of mutual funds such as JPMorgan Chase and American Funds. Cindy McCain uses her Amex Black card frequently to support her current habits, such as purchasing designer clothing that costs more than most Americans make in a year. She might not have great taste in outfits, as you can see from the photos below, but she tastefully chooses to swipe Titanium rather than plastic. Oh yeah, and John McCain has a Centurion Card as well. Dubai: 12 October, 2008 – Dubai First, the consumer finance company of Dubai Group, a member of Dubai Holding, today announced the Royale MasterCard®, its signature payment card offering, has been awarded the ‘Best Premium Programme – Credit Award’ by MasterCard Worldwide, a leader in advancing global commerce. The Royale card program, the first diamond embedded MasterCard credit card in the region, was recognized at the MasterCard Worldwide APMEA (Asia/Pacific, Middle East and Africa) Product Forum 2008, which was held in Singapore between 7 and 8 October 2008. Dubai First was among a handful of UAE-based financial institutions that have been acknowledged by MasterCard for their excellence in delivering innovative products and services. Dubai First and MasterCard Worldwide share an enriched business relationship that spans across several payment products. Among them, the Royale MasterCard remains our signature product, and one that represents the exclusivity of our offering. We are honored to receive this special commendation from MasterCard. Launched in November 2007, the Royale is the only credit card in the South Asia, Middle East and Africa region embedded with a certified diamond set within a distinctive metal crest. Elegantly designed, the Royale is a sophisticated black card that is available by invitation only. Created by Dubai First to address the unique needs of ultra high net worth individuals, the card has set new standards in the world of luxury credit cards through its unique services and benefits such as a Personal Relationship Manager and a Lifestyle Manager who provide essential support to every lifestyle aspect, from booking jets to arranging invitations to exclusive openings around the world. For a person on the go, it meets last-minute requests, while offering insider information on select events through its global network. Dubai First has also put in place a substantial package of services like preferential packages for yacht charters, reservation services at the top restaurants around the world, VIP accesses to the top equestrian events, and much more. The Dubai First Royale World MasterCard credit card is a great example of how MasterCard works closely with our customer financial institutions to develop differentiated payment offerings that will appeal to the evolving lifestyle needs of the affluent consumer of today. We are delighted to present this award to Dubai First for the Royale World MasterCard credit card program, the second set of payment products launched by Dubai First just less than a year ago. We look forward to working closely with Dubai First as they continue to meet their vision in becoming a leading player in consumer finance across the Middle East and North Africa. The MasterCard Worldwide APMEA Product Forum is an annual event, during which MasterCard honors its customer financial institutions from around the region for their excellence in promoting growth, technology and innovation in the payments industry.